When was Toothpaste invented? Historians tend to agree that Toothpaste in a powder form was invented c. 5000 BC and the first known use of Toothpaste was during the Ancient Egyptian period of invention (5000 - 3100 BCE). Who invented Toothpaste? The inventor of the modern toothpaste was an American dental surgeon named Washington Sheffield (1827 - 1897). Washington Sheffield was the first person to manufacture and sell ready-made toothpaste in collapsible tubes in 1880. Definition of Toothpaste: Toothpaste is produced in the form of a paste, gel, powder or liquid form, used along with a toothbrush to clean and polish natural teeth. Modern toothpaste is produced by mixing sodium fluoride, a cleansing product to give toothpaste its bulk, with triclosan that acts as a whitener, together with various flavourings, such as mint. Fact 1: Who invented Toothpaste? The first Toothpaste was invented c. 5000 BC by the Ancient Egyptians. Fact 2: Who invented Toothpaste? Prior to the invention of Toothpaste the people of ancient civilizations cleaned their teeth with chewing sticks. Fact 3: Who invented Toothpaste? The Ancient Egyptians made a toothbrush by fraying the end of twigs and evidence of these early toothbrushes have been found in tombs of notable ancient Egyptians. Fact 4: Who invented Toothpaste? An Ancient Egyptian papyrus dating from the 4th century BC has been discovered at the site of the ancient city of Crocodilopolis that documents the oldest-known formula for toothpaste. The formula is detailed under the heading of a "powder for white and perfect teeth". Fact 5: Who invented Toothpaste? The Ancient Egyptian recipe for toothpaste consists of one drachma of rock salt, two drachmas of mint, one drachma of dried iris flower and 20 grains of pepper. The ingredients were crushed and mixed together to form a powder that was used as toothpaste. Fact 6: Who invented Toothpaste? The ingredients for the Ancient Egyptian recipe for toothpaste was well formulated by a person who had some medical knowledge. Rock salt is an abrasive and contains potassium, which helps prevent the gums from bleeding. Rock salt also contains calcium, which makes teeth strong and is a whitening agent. The mint provided a fresh taste in the mouth and freshens the breath. Mint also inhibits the growth of bacteria in the mouth and the tongue. The dried iris flower is effective against gum disease and black pepper helped prevent bad breath and gum problems. Fact 7: Who invented Toothpaste? The Ancient Greeks and Romans conquered Egypt and are known to have used toothpastes. It is possible that the recipe for toothpaste was adapted from the Ancient Egyptians to include other ingredients such as powdered charcoal, crushed bones, oyster shells and bark. (The Romans were notorious for 'adopting' any useful inventions of other civilizations). Fact 8: Who invented Toothpaste? Christianity became the official religion of the Roman Empire in 323AD and it is quite possible that the formula for toothpaste was passed on by Roman scribes to early Christian monks. However, the collapse of the Roman Empire in 476 AD led to the period known in history as the Dark Ages (500 - 1000 AD) when so much ancient knowledge was lost or deliberately suppressed. Fact 9: Who invented Toothpaste? The ancient knowledge of the Greeks including the books of Hippocrates were translated into Arabic and their medical knowledge was added to that of the Muslim Middle East. Muslim inhabited areas used Miswak sticks, from the twigs of the Salvadora persica tree to strengthen the gums, eliminate bad breath and prevent tooth decay. Fact 10: Who invented Toothpaste? Muslims from Arabia and North Africa ruled part of Spain from 711 until 1492. A man called Ziryab, a member of the royal court of the Arab empire in Spain, invented Europe's first toothpaste. Fact 11: Who invented Toothpaste? The Medieval era of the Middle Ages saw a resurgence in hygiene and cleanliness. A famous series of texts called the 'Trotula', written by a female Italian physician and medical writer Trotula de Ruggiero, was translated into English in 1544 as the Medieval Compendium of Women's Medicine. Fact 12: Who invented Toothpaste? The Trotula included recipes for whitening the teeth that included cinnamon, clove, spikenard (the costly root of an Indian plant), mastic (a powerful antibacterial gum), frankincense, grain, wormwood, crab foot, date pits, and olives. Many of the ingredients clearly originated in the east. Fact 13: Who invented Toothpaste? The modern Toothbrush was invented in England by William Addis (1734 - 1808) in 1780. At this time 'toothpastes' were usually powders that included many abrasives such as soot, coal dust, brick dust and salt. Fact 14: Who invented Toothpaste? The inventor of the modern toothpaste was an American dental surgeon named Washington Wentworth Sheffield (April 23, 1827 - November 4, 1897). Washington Sheffield was the first person to place toothpaste in collapsible tubes for commercial sale. Fact 15: Who invented Toothpaste? Washington Sheffield was born April 23, 1827 in North Stonington, Connecticut, the third son of 8 children of the Rev. John Sheffield and Eliza (Lewis) Sheffield. Fact 16: Who invented Toothpaste? Washington Sheffield trained as a dentist and in 1865 graduated from the Ohio College of Dental Surgery. Dr. Sheffield became one of the most successful dentists in the United States but was destined to achieve fame through his invention of the modern toothpaste. Fact 17: Who invented Toothpaste? Washington Sheffield developed many inventions relating to oral hygiene such as new formulas for tooth powder and mouthwashes. He improved his inventions and in 1875 developed a ready-made tooth creme with a pleasing minty taste. Fact 18: Who invented Toothpaste? Washington Sheffield's son, Lucius T. Sheffield (May 28, 1854 – September 20, 1901), attended Harvard as a dental student, planned to join his father's dental practice when he finished his education. Fact 19: Who invented Toothpaste? Following his graduation at Harvard in 1878, Lucius T. Sheffield went to Paris to further his studies in dentistry. Whilst he was in Paris he was watching some artists squeeze paint onto palettes from collapsible tubes. It was one of those 'Eureka'' moments because he suddenly realized that similar tubes could be used to easily dispense his father's tooth creme straight on to a toothbrush in a more hygienic manner. Fact 20: Who invented Toothpaste? Lucius T. Sheffield made notes of the 1878 recipe for 'Sheffield's Amalgam' that included silver, tin, bismuth and zinc. The toothpaste formula was significantly improved and the ingredients extended to include chalk, soap, cuttle fish, carmine, myrrh, glycerine and mint. Fact 21: Who invented Toothpaste? Lucius returned home with his idea and discovered that the patients in his father's dental surgery were requesting amounts of the tooth creme to such an extent that he and his father decided to start a business manufacturing toothpaste. They called the company the Sheffield Dentifrice Co. Fact 22: Who invented Toothpaste? In 1880 Sheffield’s “Creme Angelique” toothpaste was sold in collapsible tubes. At first the tubes were purchased from suppliers but in 1892 the company developed their own tube-making machinery. In 1990 Lucius and Washington Sheffield started a new company called the New England Collapsible Tube Co. Fact 23: Who invented Toothpaste? Lucius and Washington Sheffield went on to invent various types of artificial dentures and dental bridges and founded the International Tooth Crown Company. Fact 24: Who invented Toothpaste? Washington Sheffield died on November 4, 1897 and will be remembered for his invention of the modern Toothpaste. Fact 25: Who invented Toothpaste? 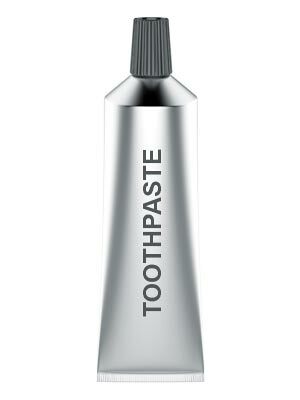 In 1873 the Colgate company manufactured toothpaste in a jar but changed the container to a tube in the 1890s. Fact 26: Who invented Toothpaste? In 1914 Fluoride was added to toothpaste after discovering it significantly decreased dental cavities. Fact 27: Who invented Toothpaste? The first toothpastes all contained soap but this was replaced in 1945 by other ingredients, such as sodium lauryl sulphate, to make the product into the smooth paste that we enjoy in the present day. Who Invented Toothpaste? - Unknown Inventor - Invention - Definition - Meaning - Famous - Device - Innovation - Significant - Development - Household Items - First - Definition - Kids - Facts - Information - Info - Who invented Toothpaste - Dates - When - Why - Impact - Purpose - Use - New - Old - Definition - Meaning - Awesome - Cool - Toothpaste History - Timeline - Who Invented Toothpaste?